Запуск программы: 24 августа 2018 г.
Dragon Awaken is a thrilling browser RPG with no downloads. In this dangerous fantasy world you are warrior destined to do great things. Following the orders of your commander, you attack a dragon lair with your comrades... but something goes wrong. You end up possessing the power of the dragon and becoming one of the legendary dragon knights! Now, you will have to find the meaning of your newfound powers. Dragon Awaken is built around character growth and dungeon exploration. Find the best strategy to upgrade your character and participate in lots of different dungeons: escape from the enemies, defeat the army, hunt your target... The game features several fantasy features like Knights, Dragons, monster sieging, Lordships, etc. and tries to recreate a high fantasy environment. 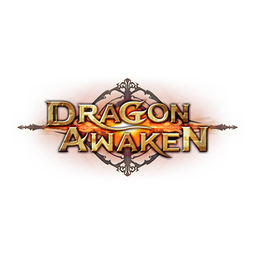 Dragon Awaken is a semi-turn based game with multi-tier dynamic scenes. It has PVP, SIM and SLG features. Advantages: ♦ No need to download: Players only need to log in to enjoy the game, they don't have to download anything. ♦ 3D rendering: With the help of the 3D rendering engine, the game provides high quality graphics. All characters and buildings have been modelled in 3D. ♦ Beautiful and diverse backgrounds: From the Cosmos to the Continent, we offer you a world full of imagination. ♦ Thrilling battles: The semi-turn based system offers you exciting and spectacular fights. You won't want to miss any detail of your battle. ♦ Hero Development: Featuring real heroes from mythology and history. Develop your heroes and conquer the world with them! ♦ Dragon System: You will posses the power to fight with the help of the Dragons. They’ll battle with you and offer you bonuses. ♦ Dungeon System: The unique dungeon system allows you to freely explore the world. The immersive story will make you want to unlock all the dungeons. ♦ Astro System: Get different Astrals in Astro System. Equip them to get different stats. You can decide how to become stronger in your own way with this system. ♦ Mount System: You can choose your own way to develop your mount's stats and appearance. ♦ Multi-tier scenes: All backgrounds feature 4 layers of depth that will create a profundity effect. ♦ Combat movements are fast and polished. Онлайн-игры пользуются спросом среди пользователей. Различные варианты жанров и игровых сюжетов, красочные пейзажи, уникальные персонажи – виртуальные миры увлекают и интригуют, привлекая все больше активных игроков. Получайте прибыль, зарабатывая на актуальных игровых тенденциях благодаря партнерской программе Dragon Awaken (101 XP). dragon-awaken-101-xp – популярная онлайн-игра, в которой насчитываются тысячи пользователей. Вы можете в разы увеличить численность игроков, используя для этого безопасные интернет-ресурсы и эффективные инструменты. Если вы являетесь владельцем игрового сайта, вы можете начать отлично зарабатывать на нем! Партнерская программа Dragon Awaken (101 XP) – оптимальный вариант монетизации игрового трафика. Вы приводите новых пользователей на сайт к участию в игровом проекте и получаете оплату от их игры. ADVGame предлагает выгодные условия сотрудничества для веб-мастеров. При выборе партнерской программы для Dragon Awaken (101 XP) вы получаете доступ к эффективным инструментам, которые позволят вам лить трафик и привлекать больше уникальных игроков по выгодной стоимости.